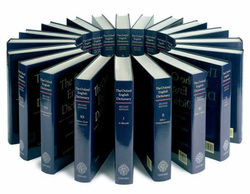 The Oxford English Dictionary is considered to be academically sound. As such, many of our English definitions stems from the Oxford English Dictionary. You may not know this, but the way most of the English definitions you read in the Oxford English Dictionary actually stems from the way terms were presented in the Bible! Thus, we too value the information that the Oxford English Dictionary presents. If it so happens that a biblical verse says something contrary to the Oxford English Dictionary, then of course we side with Scriptures. There are plenty of online Bible References. We at Nehr HaOlam tend to favor Blue Letter Bible's Online Services because you can quickly type in the word that you're looking for in the Bible, and the results are quick and easy. Also, this free service allows you to cross-reference various different kinds of Bible versions, to include the Hebrew and the Greek translations as well as the Strong's Concordance of the Bible. For our Bible enthusiasts who love to do their own personal studies and present their finds, this is just a great resource to have. 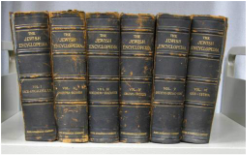 ​The Online Jewish Encyclopedia (published in 1906) is a great reference that we like to use. It's free and readily available for use at your convenience. We enjoy this service because it gives us an idea of some of the scholarly work that reputable, educated academics had to say on numerous topics. Also, it gives us that extra Jewish insight that many yearn for. Mayo Clinic Databank: Do you have a family secret but really don't want to talk about those hidden addictions? Do you need to know what's going on? Then, reference the information that the professionals and the experts in their fields have to say about the matter! Now, you can be discreet and learn more about a precise addiction that a love one is having. Sociology of the Family is an excellent free reference resource made available online from two of Brigham Young's University professors. This is for intellectually saavy readers who are interested in the mechanics of Family Life as presented by biblical scholars who are also experts in their fields of study.